The frost-laden mornings and fairy-light filled streets of Canterbury can only mean one thing: Christmas is on its way! 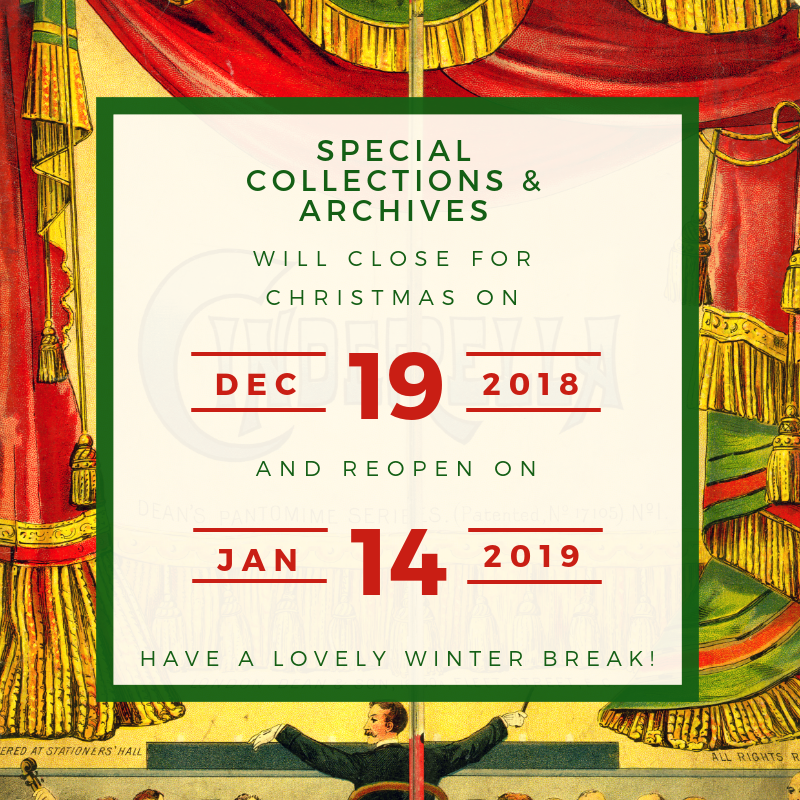 The Reading Room will be open until 4.30pm on Tuesday, December 18 2018. From then, we’ll be closed until the New Year, when the Reading Room will reopen at 1.00pm on Monday, January 14 2019. As ever, please give us a couple of days notice (if you can) before you’d like to visit so we can get everything ready for you. We hope you have a very merry Christmas and a happy new year! See you all in 2019. This entry was posted in News and tagged Christmas, reading room by Joanna Baines. Bookmark the permalink.